Some polymers just have a bad rap. I’m not talking about PVC (I’ll give that polymer the business sometime soon, but not for the reasons that most people expect), but instead about PP a.k.a. polypropylene, a.k.a. polyethylene’s high class cousin. The most common misconception of PP is that it doesn’t perform well in cold temperatures. I’ve heard this from previous colleagues as well as current clients. The listed Tg of about -10 oC is the culprit, which many take as a sign of absolute limit – go colder than that and it will break upon impact. Depending where you are in the world, -10 oC can be ungodly cold, a mildly cold winter morning, or a heat wave, but if you are designing a product for large portions of the world, temperatures this low are certainly possible. 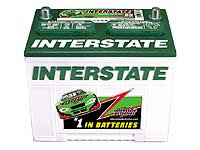 And yet car batteries, loaded with concentrated sulfuric acid, use PP as the case, knowing full well that the battery is most likely to fail to start the car at temperatures of -10 oC or lower, and also knowing full well that the people replacing the battery in that cold, most concerned with getting the job over with quickly and then getting someplace warm, are going to be banging the case around as it is being pulled out of the car and dropped on the ground. If PP was an amorphous polymer, then the Tg value would be more important, but being a semi-crystalline polymer, it is a lot stronger than just that. The crystals serve as effective crosslinking points where chains from multiple molecules come together and provide strength that an amorphous material can only hope to have. Amorphous polypropylene, which is lacking in crystallinity, is a weak material only good for non-demanding adhesive applications. If your using that, then I would be concerned about the low temperatures. Bottom line, polypropylene is plenty tough in the cold. If you are concerned, do the needed testing, but don’t rule it out just because of a number on the spec sheet.